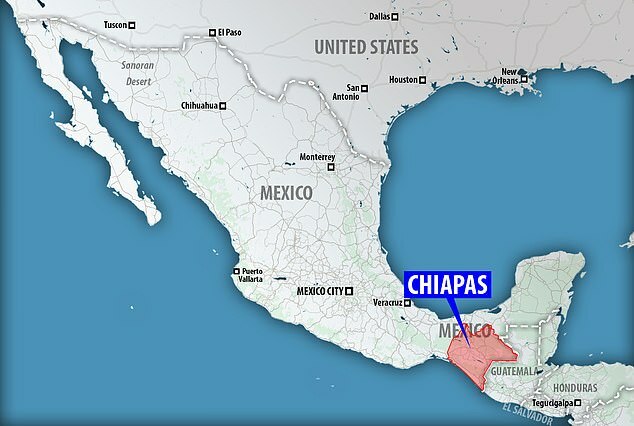 The southern state of Chiapas borders Guatemala and has been a main entry point for migrants looking to cross into Mexico before reaching the U.S.
A truck smuggling a group of Central American migrants crashed in southern Mexico leaving 23 dead and injuring 31 passengers. 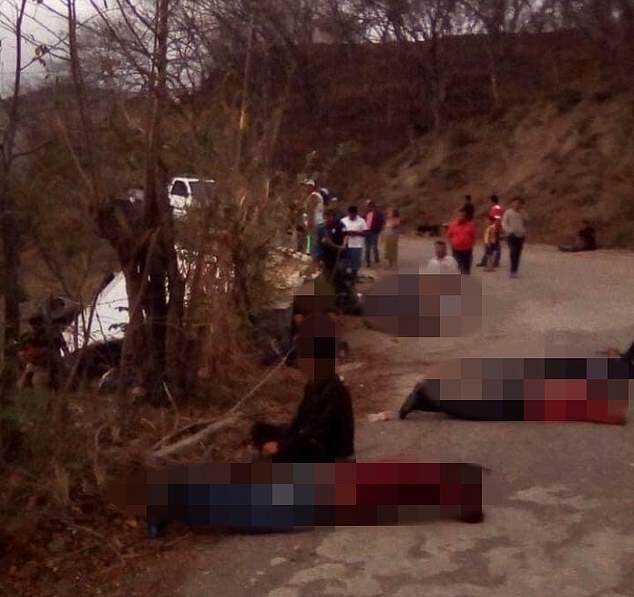 The vehicle was traveling on a road connecting the cities of Ixtapa and Soyaló in the state of Chiapas when it allegedly experienced mechanical problems, according to investigators. A young girl was among the dead. 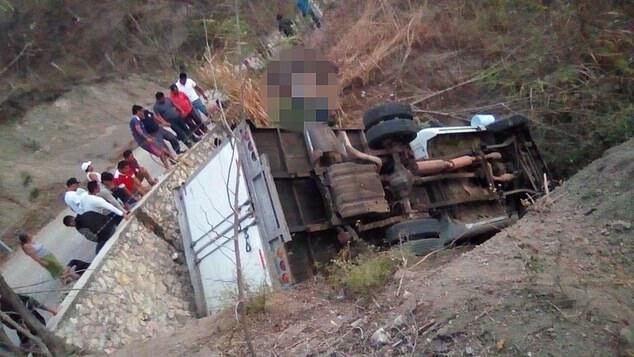 The truck veered out of its lane before flipping and crashing at about 6pm on Thursday, about 155 miles north of the Mexico-Guatemala border. The southern state of Chiapas borders with Guatemala and has served as a strategic point for Central American migrants heading to the Mexico-United States border. Thousands continue to descend upon Guatemalan towns and stream across the Mexican borders before continuing the dangerous trek northward in hopes of applying for and being granted asylum by the Trump administration. The continuous stream of Central American migrants at the southern border entry sites has been a driving force behind President Donald Trump’s agenda to demand that congressional leaders approve funding for his multi-billion dollar border wall. 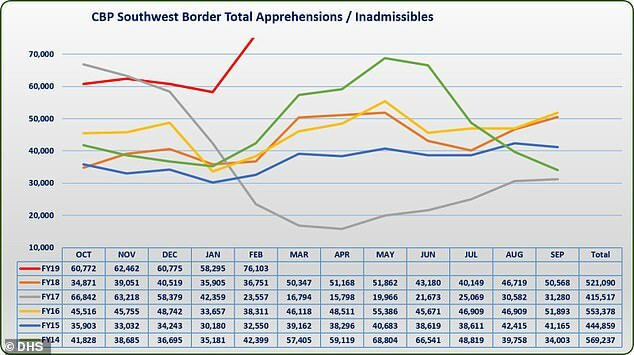 President Trump claimed Thursday that the Department of Homeland Security is apprehending people on the Mexico-U.S. border at a pace that would reach 1 million by the end of 2019. 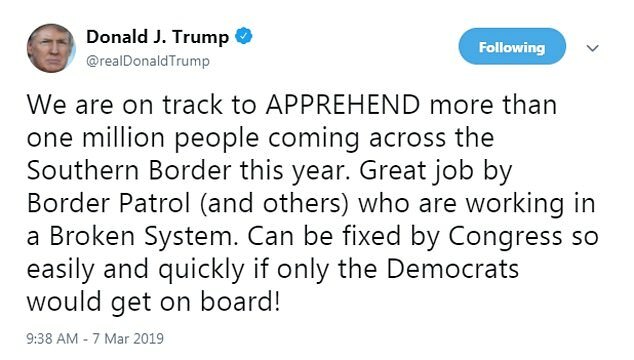 ‘We are on track to APPREHEND more than one million people coming across the Southern Border this year,’ he said in a tweet. Images of the accident showed dozens of victims laying on the road and next to the truck. The victims were part of the latest migrant caravan seeking the American dream, fleeing the poverty and crime that has engulfed the Central America region. The surviving victims were transported to two local hospitals where they received medical attention. 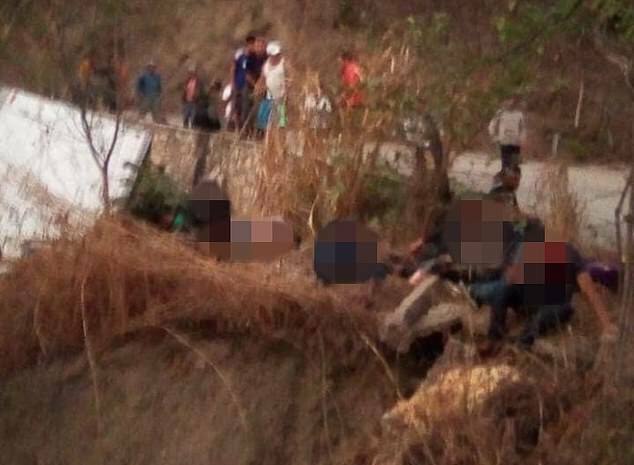 According to the Mexican Red Cross, the dead and injured victims were Salvadorean and Guatemalan nationals. Authorities were not able to confirm the exact number of passengers involved in the accident.